Make all of your purchases first. After making all choices then choose VIEW SHOPPING CART. International shipping will be calculated by Paypal at checkout. STILL AVAILABLE WHILE SUPPLIES LAST! 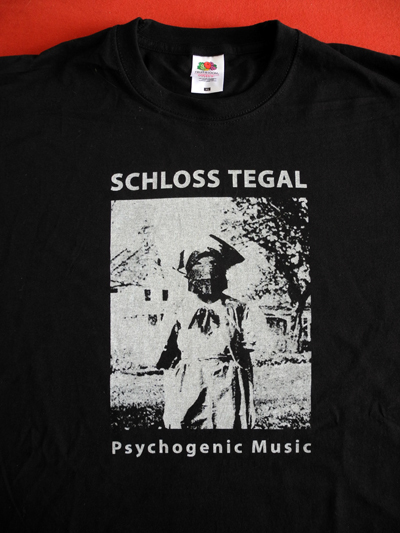 Available while they last the Schloss Tegal “Night Nurse” T-shirt quality fruit of the lLoom black t-shirt with light grey print. Available in medium, large and extra large. Once it is gone it will not be repressed another time. Normally only available at live shows but now available on our web catalogue until they are gone.. Extremely limited to 25 copies. 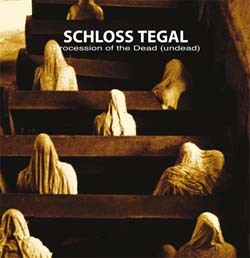 Procession of the Dead “Undead” is reworked remastered and remixed version of the original track by RL Schneider for the Steinklang Records Archive series. Includes on the B side “Watch Me Flop Around” recorded live at the 007 Club in Prague. Get your copy now. Won’t last long. 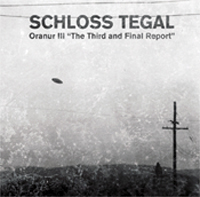 Oranur III “The Third Report” returns re-titled “The Third and Final Report”. A back engineered rework of the original edition released on Artware Productions, Germany as a special limited edition LP. This CD contains all of the original tracks reworked with additional sounds and new bonus tracks never heard before. 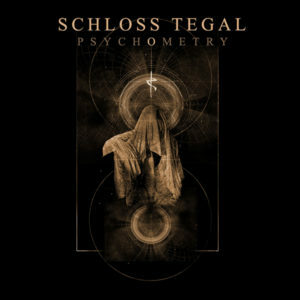 Originally released in Russia on the waystyx label in alimited edition of 300 in special black folder packaging is now released on Schloss tegal’s own Tegal records in a jewel case edition. this CD explores cruelty and aggression in human nature and is a re-vision into the Grand Guignol period. The Myth of man’s consumption of death. This is music for the new meat generation where torture sites and exploitation exist as commonplace. 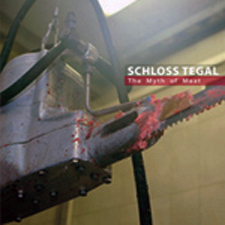 Includes tracks influenced by Ed Gein’s car, cannibals in Germany and the cry of tortured souls. 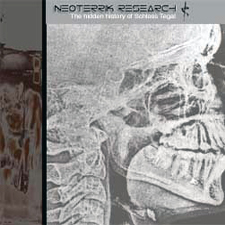 Neoterrik Research is a collection of extremely rare tracks from compilations and special out of print editions. 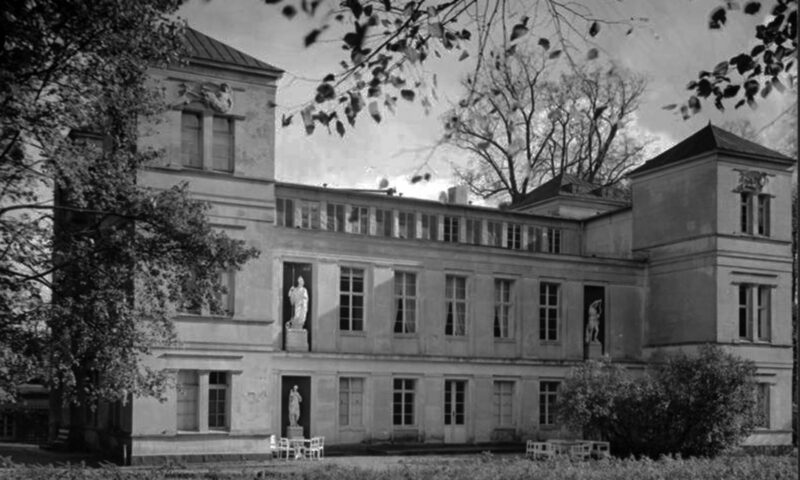 Full of rare collectable tracks that would be costly to collect all together compiled here for you in one definitive hidden history of Schloss Tegal. This Cd has been sold out for years and is available now from our digital downloads page. An amazing collection of rare and hard to find tracks which will never be available anywhere else. Crepuscule is a mortician by trade and explores other dimension via ghost hunting and EVP recording by night. He is a contributing member of Schloss Tegal and appeared on Schloss Tegal’s “Black Static Transmission” CD. 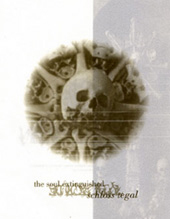 This is his only CD solo work released on Tegal Records in 1999. This is a dark David Lynchian look into an eerie family life, mental dementia and the beginning and ending of life’s journey. A lot of dark electronics with an array of cut up incidents cut up manipulation similar to Nurse with Wound. Lewellyn is also a paranormal investigator and these recording contain EVP evidence that he has collected and shows his twisted view of life and death. Comes in a beautiful folder. by visual artist Richard Chartier. Limited edition of 659.